MENGO – The Futsal Association of Uganda (F.A.U) will honour the memory of the late Moses ‘Nana’ Ntabazi on Thursday, on a day that the 2018/19 Uganda Cup last 8 matches will be played. As a way of celebrating Nana’s life, the association which is headed by Junju Hamza decided to include a match between Sona Sports home and Friends of Football (FOF). Sona is a group of several sports journalist and fans while FOF is an association which was founded in 1996 and helps harbor young footballers hoping to realize a dream of playing football. Nana was a graduate FOF. Speaking exclusively to PML Daily, Junju said that the day is intended to recognize FOF, an association that has helped several Ugandans and Nana as a person. “As FAU, we decided to dedicate the day to Nana and FOF as a way of celebrating his life and what FOF has done for several young Ugandans, said Junju. “Nana was part of football for a long time and we thought that dedicating such a day to him would be fitting. Sona and FOF’s encounter will be the last piece of action on the night. However, the Uganda Cup games will kick off at 6pm with Kabowa United taking on Crown. Kabowa who eliminated Yap Stars 3-0 in the round of 16 have been struggling in the league since its start and will be hoping they can win the Cup as consolation for their season. Speaking ahead of the game, Kabowa Captain Mahad Mugerwa is confident of his team’s chances in the Cup. “We know we cannot win the League this season and the Cup presents our only shot at silver ware. “It is a knock-out tournament so we cannot afford any error. “Crown have been performing better than us in the League but we have the quality to win the game and go all the way. Coming up against Crown on Thursday, Kabowa united meets a side that looks to have lost form as they have not won any of their last three league games, dropping to 6th on the standings. To reach this stage, Crown eliminated holders Luzira Thunder 5-3. In the other day’s action, League leaders Yeak kabowa will face Typhoon. Yeak are in scintillating form of late, winning all their last 5 games in the Futsal Super league including a 7-2 victory over Mengo City last week. To get here, Yeak defeated Aidenal 5-1 while typhoon powered past Equator 3-2. 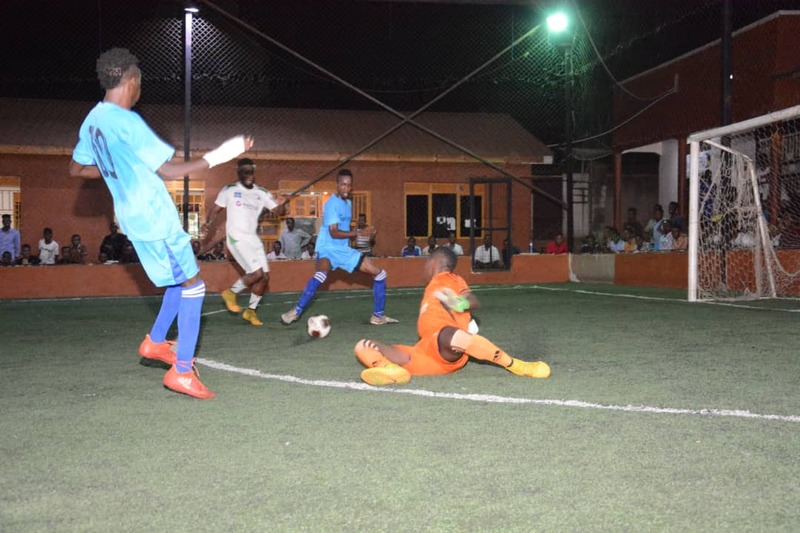 The other two games on the night will see Dream play Mengo City while Nomad entertain Bajim.